St. Catherine’s Village announced that a limited number of rooms have become available in its Siena Center. Siena Center is a skilled nursing facility on the grounds of the St. Catherine’s Village campus in Madison, Mississippi that accommodates 120 residents in private and semiprivate rooms. It recently was voted the best nursing home in Mississippi for the second year in a row by readers of the Clarion-Ledger. St. Catherine’s Village is a subsidiary of St. Dominic’s Hospital and as such has access to its services. Furthermore, each Siena Center resident’s treatment is overseen by a physician who is a member of the St. Catherine’s Village medical staff with care centered around his or her circumstances. A nurse practitioner is on-site Monday through Friday while a medical director is on-site weekly. The facility’s two in-house social workers provide support beyond just physical needs but also emotional support, and two pastoral care visitors offer spiritual support. Activities coordinators plan engaging recreational, social, cultural, therapeutic, spiritual, and enriching activities, as well. “No matter how much care a resident requires, it is vitally important to let the resident express his or her own decisions and choices,” said Judy. To accomplish this, St. Catherine’s Village maintains a staff-to-resident ratio that exceeds state requirements. The nursing administration is comprised exclusively of RNs filling the roles of Director of Nursing, Director of Health Services, Licensed Nursing Home Administrator, and Nurse Managers. Additionally, Siena Center is licensed and regulated by the Mississippi State Department of Health as a Skilled Nursing facility. In addition to assistance with activities of daily living, residents at Siena Center are served three meals a day. A full-time in-house dietician and culinary staff provide extensive meal selections where choice is the number one priority and nutrition and taste combine for a healthy diet. Utilities except telephone and Internet are included in monthly fees as is regular housekeeping. Wi-Fi hot spots allow for Skyping with family. Round-the-clock campus security also is provided. Siena Center is one stage of the all-inclusive Life Care Community of St. Catherine’s Village. 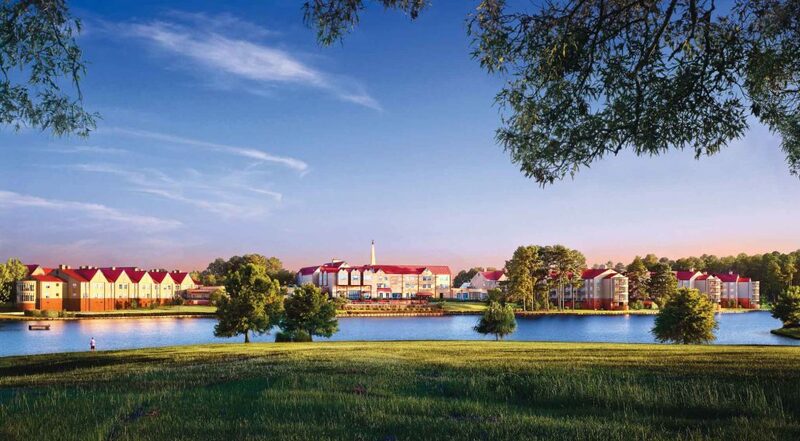 The gated property is located on 160 picturesque acres and is the first retirement community in Mississippi to earn accreditation by CARF-CCAC. This “commitment to excellence” seal signifies that the campus exceeds the standards established by the only international accrediting body for CCRCs. Other living options include independent living in apartments and garden homes, assisted living in Marian Hall, and memory care in Campbell Cove and Hughes Center. In addition to unparalleled facilities, St. Catherine’s Village offers protected and beautiful outdoor spaces plus engaging activities and a mission-focused environment. The ministry encourages residents in all levels to enjoy fullness of life, health and faith. For information on availability and admission criteria for Siena Center, call (601) 856-0123 or log onto www.StCatherinesVillage.com.